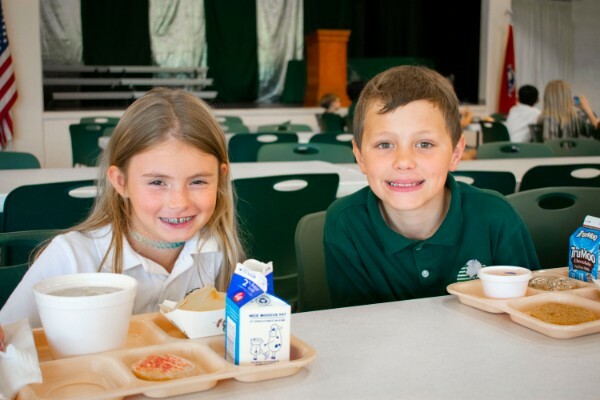 Lunch is available for students in Pre-Kindergarten (who stay at school for an extended day) through eighth grade. 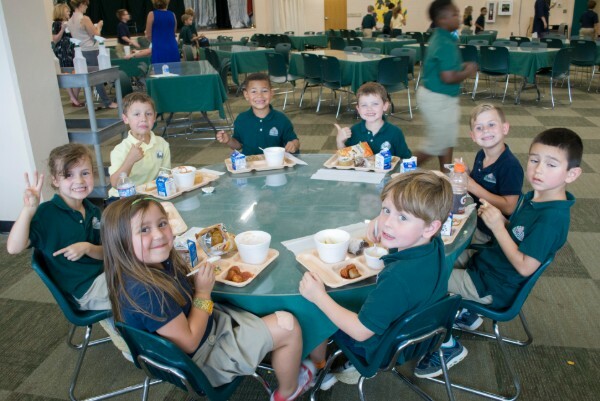 Lunch is sold on a daily basis; however, any student who forgets lunch will be fed. The parents' account will be charged $5.00 for this service. 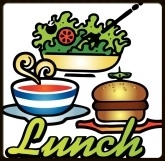 Each day includes a hot meal with sides, sandwich and soup choice. 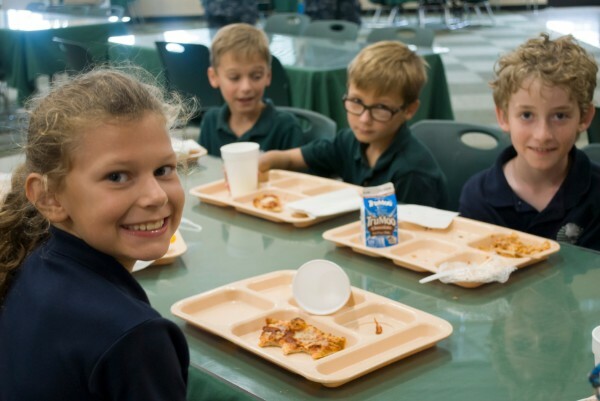 Every Friday is pizza day.